I’m one of those people who has a playlist for every occasion. When something goes wrong, my answer is to make a brew and hit Spotify. When something great happens, I’ll dig out my cheeriest playlist and turn up the volume. Music can instantly lift my mood – much like dogs and pizza. Then occasionally, an artist comes along who leaves you breathless. Maybe it’s their tone, or the way they have with words? Or maybe it’s a striking instrumental? But they just do something to you. 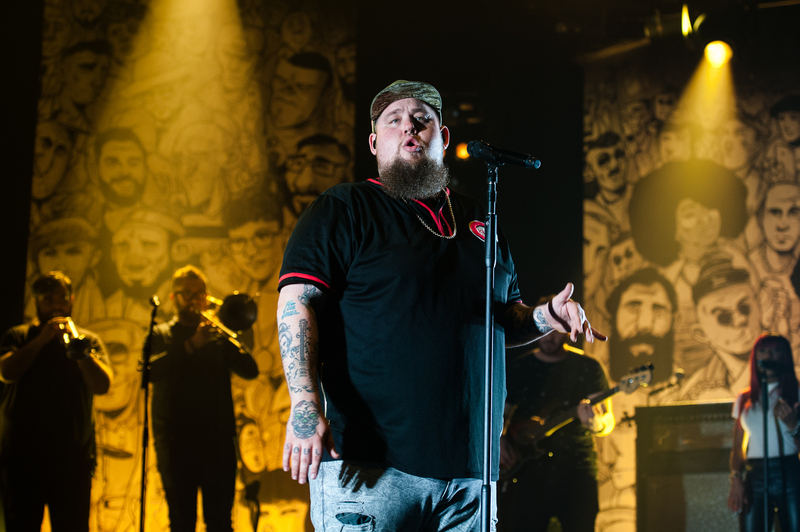 This year, for me, those artists are Lapsley (particularly songs Painter and Station) and critically acclaimed singer-songwriter, Rory Charles Graham – better known as Rag‘n’Bone Man. I stumbled across him during an MTV’s Catfish binge. He was one of the artists whose videos were being played inbetween back-to-back (what can I say? I love Max) episodes and the song was Human. To this day, that song gives me the feels. And it seems I’m not alone. When I arrive at Manchester’s 02 Apollo, the arena is already packed. I’m on my own. Now, I don’t mind a little solo jaunt – I’ll regularly go to the cinema or the theatre on my tod – but a solo gig does seem a bit daunting. So, I hit the bar for a cider (£4.50 for a can, really?) and find a free spot at the front. I usually prefer gigs in a smaller venue, like Manchester Academy or The Ritz, so the vastness of the Apollo is a little overwhelming. As the support band gears up to take to the stage, people chat excitedly around me. And they don’t bloody stop. All the way through. It’s a real shame because the second support artist happens to be another musician I love, Zimbabwe-born British singer-songwriter, Rationale. Again, I’d found his stuff purely by accident after shuffling through Spotify. 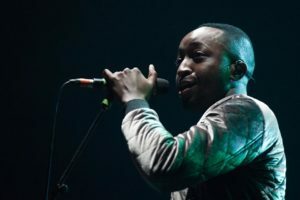 Known for his soulful R&B and indie pop style with electric influences, he’s got one of those voices that make you happy and instrumentals that make you want to move. Not to mention that his song-writing is brilliant. We’re treated to songs like Re:up, Deliverance, Reciprocate, as well as two of my faves, Prodigal Son and Fast Lane (both of which are on my favourite playlist). Despite being alone, I can’t resist singing along and having a bit of a dance. 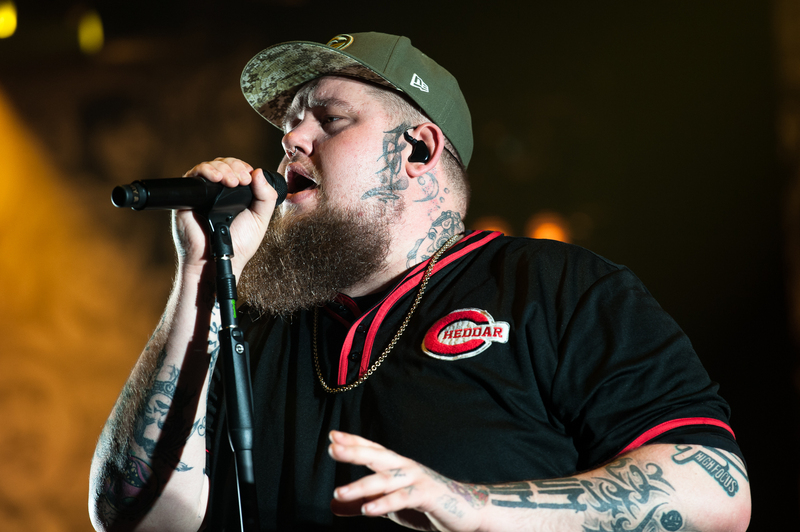 When Rag‘n’Bone man hits the stage, the room falls silent. Finally. The woman in front even stops whipping her mane in my face. 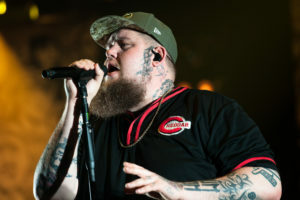 Rag‘n’Bone man has stage presence in abundance. It’s not showy or commanding, he doesn’t dominate the stage, in fact it’s quite the opposite. He travels the stage moving his hands in time to the instrumental, much like a conductor. 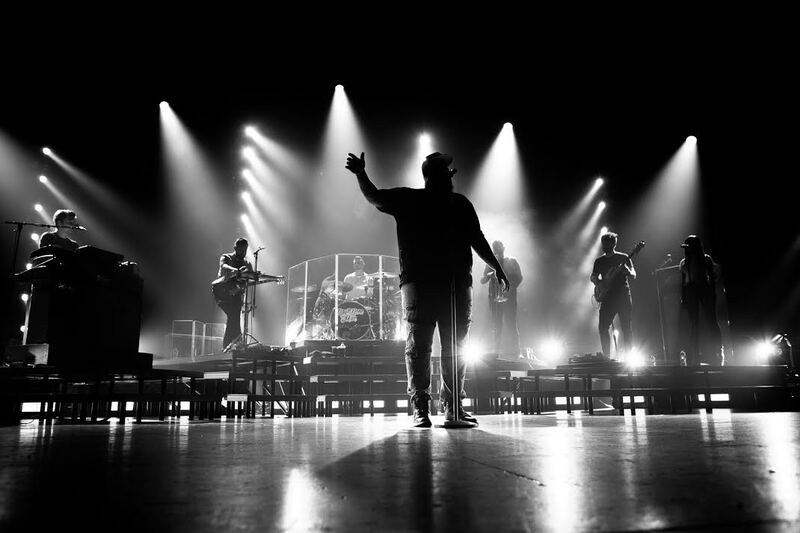 He isn’t simply an artist, there to churn out the hits, he’s a music-lover, an appreciator, which is visible in the way he makes frequent mention of his talented band. It’s as though you can see the music cogs turning in his mind. He also seems like a decent guy. Appearing almost shy at times, he addresses the audience with “you guys ok?”, “you having a good time?” and “you all right, Manchester?” like he’s checking his mates are fine and no-one is bored. “It’s sweaty up here for a fat lad,” he jokes, and everyone laughs. At one point, he asks for the lights to be turned up so he can see everyone, and seems overjoyed by how many people have showed up. “I’ve played this arena many times, but only ever as a support artist, so thanks very much,” he says giving the audience a thumbs-up and a big grin. There’s a real trepidation that comes with finally watching one of your favourite artists live – what if they aren’t as good as you hope? – especially when someone’s recorded voice is so powerful and emotive. But I needn’t have worried because from the opening song to the very last, Rag‘n’Bone Man’s voice doesn’t falter. It’s even more stirring in person. He moves through big, beautiful songs with ease. From Skin to Ego and As You Are, right through to Human which receives rapturous applause and is followed by what he calls “the remix” which includes a rapped verse. Sometimes, I think his hip-hop influences are overlooked because of his immense vocal talent, but much like his songs, his raps are lyrically impressive. Then there’s a rendition of my favourite Rag‘n’Bone man song, Grace, which is so beautiful live that it makes me feel a bit teary. Before launching into Lay Me Down, he jokes that his songs are terribly depressing which, I suppose in a way, they are. But on the other hand, they’re uniting and positive. His lyrics are so raw and human that they appeal to a wide range of people. I take a quick look around the room and notice that everyone near me is singing – kids, couples, groups of lads swinging half-full plastic glasses of beer precariously above their heads. “I write real songs,” he tells us. He’s not here to sing other artists’ songs. And that’s what people love about him. Not only does he have one of those ridiculously unique voices that can make you feel a range of emotions during one song, but he writes about things that mean something to him – and to us. “I always get a bit teary when I sing that one,” he admits after a stunning rendition of Life in Her Yet, written about his Nan, before turning away to take a sip of his drink. He’s also written a song for his mate – I think it’s Odetta. And we’re treated to some newer music. “This stuff is a little funkier,” he reveals. “We’re just playing around with songs for the next album.” It’s upbeat with a funkier bass line but still makes a feature of his signature gravelly vocal. As I make my way towards the back of the room, I nip to the ladies before I leave where I overhear excitable gig-goers chattering about the performance as I wait in line. “He’s bloody brilliant,” one woman coos. “Bloody voice on him, though,” adds another. I can’t put it any better. Bloody brilliant voice on him. To view the full gallery of images from Rag’n’Bone Man’s gig at Manchester 02 Apollo, click here. Human by Rag’n’Bone Man is available to buy now.